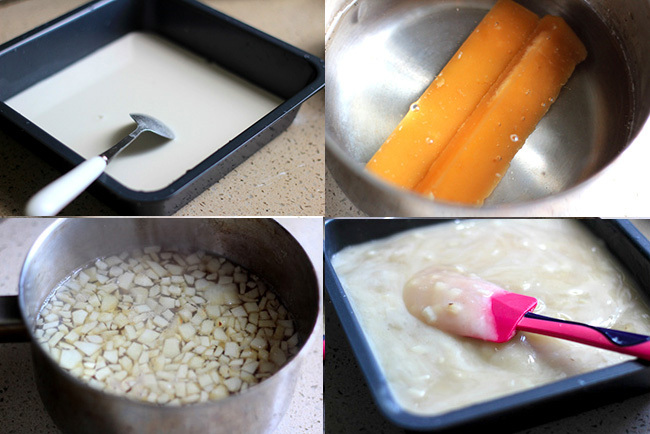 Step by step recipe of traditional Chinese water chestnut cake. 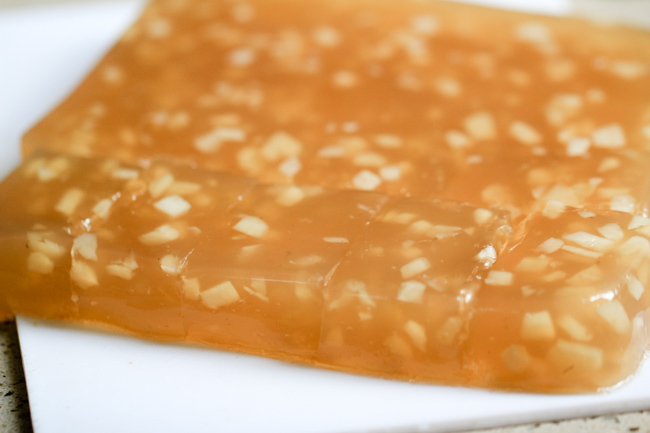 Have you ever encountered with Chinese water chestnut cake in dim sum halls? They look yellow and transparent and present a sweet taste. Water chestnut known as 马蹄 in Chinese, is a popular fruit, which has a unique sweetness and comforting crisp texture. 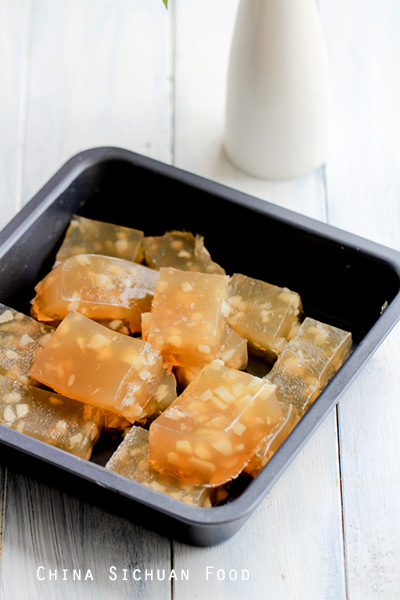 Traditionally, housewives mainly make Chinese water chestnut cake to celebrate Chinese New Year along with other Chinese style cakes like radish cake. 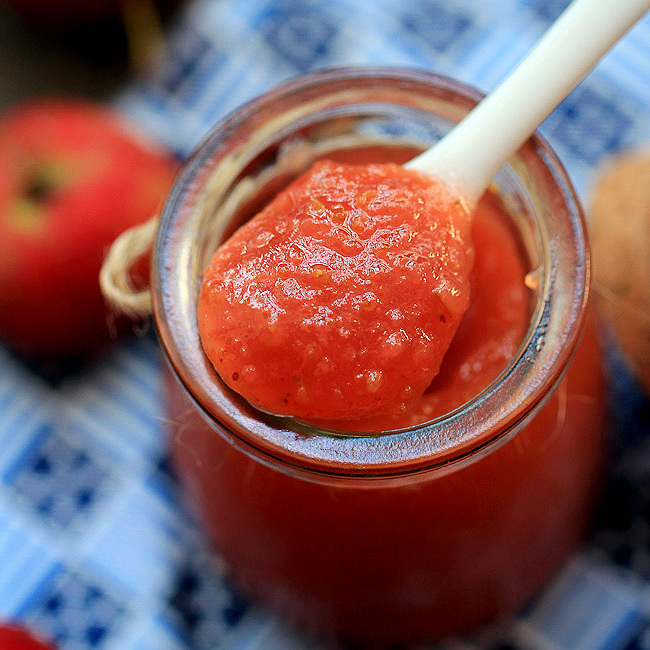 However the chilled version is a great dessert for summer days too. You may find that the cake has a brown color, which is actually bought by the sugar. If you prefer to have a more lighten one or even white one, simply replace the brown sugar partially or completely by rock sugar. Check the ingredients firstly, the right picture shows the water chestnut flour and slab sugar, the left side is fresh water chestnut (usually available in winter). Soak the water chestnut flour with 150ml water for around 10 minutes. 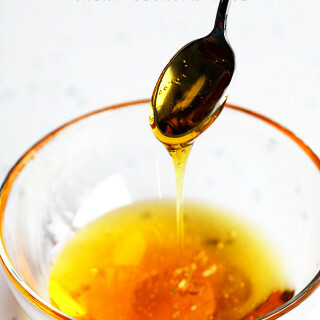 During the process, dissolve sugar with the remaining water (550ml) over slow fire. 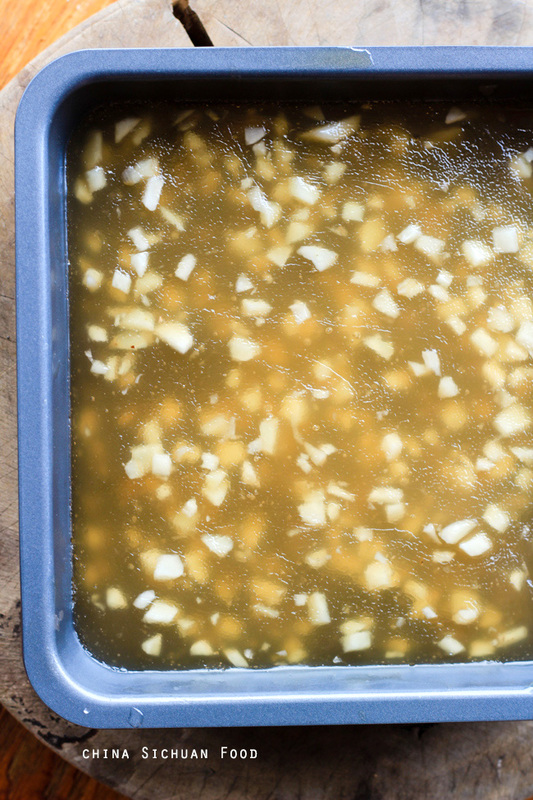 Until the sugar is completely dissolved, cook the chopped water chestnut for 2 minutes and immediately stir the sugar water to soaked flour mixture. At this time, you will get a thick batter. Set up the steamer and steam for 20 minutes. And in order to make the cake as square as possible, I use an 8 inch and 50cm high square baking pan. However just make sure you get a large enough steam set up or you can either make less each time or store the batter in two square or rectangular steamers separately. When hot, the cake will be crystal and transparent. cool down completely and then cut into thick slices. Soak the flour with 150ml water and stir until smooth. Set aside for 10 minutes. Then re-stir. You can strain the mixture if necessary. In a deep plan, add the remaining water and the sugar pieces, heat over slow fire until the sugar is completely dissolved. Bring to boil and add minced fresh water chestnut in. Stop fire until the content begin to boil again. After the sugar water boils, stir the sugar water slowly to the square pan for soaking the flour in first step immediately. During the process, keep stirring the flour water to avoid settling to the bottom. After adding the boiling sugar water, the batter will become really thick. Shake it slightly to trowel. Set up the steamer and wok and then steam the batter for around 20 minutes. To check whether the batter is completely done, insert a toothpick in and see whether it is clean after pulling out. Cook down completely and then cut it into thick slices. 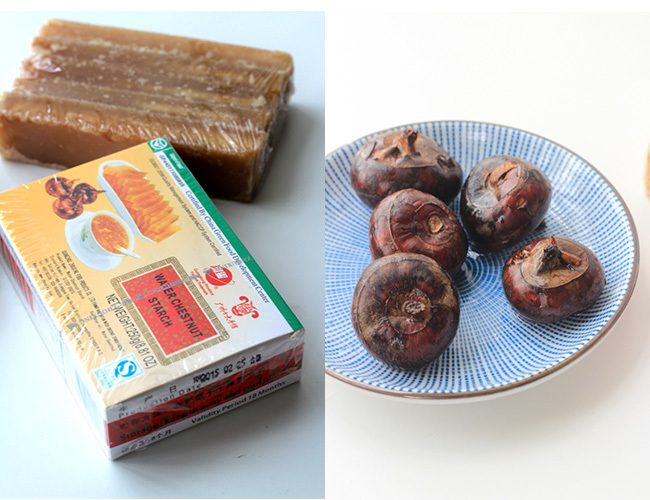 In summer days, it can be directly served cold after stored in fridge. And in winter days, pan-frying the cake with a small amount of oil and serve hot. You can enjoy them directly or store the left in refrigerator. And in winter days, pan-frying them for re-heat. 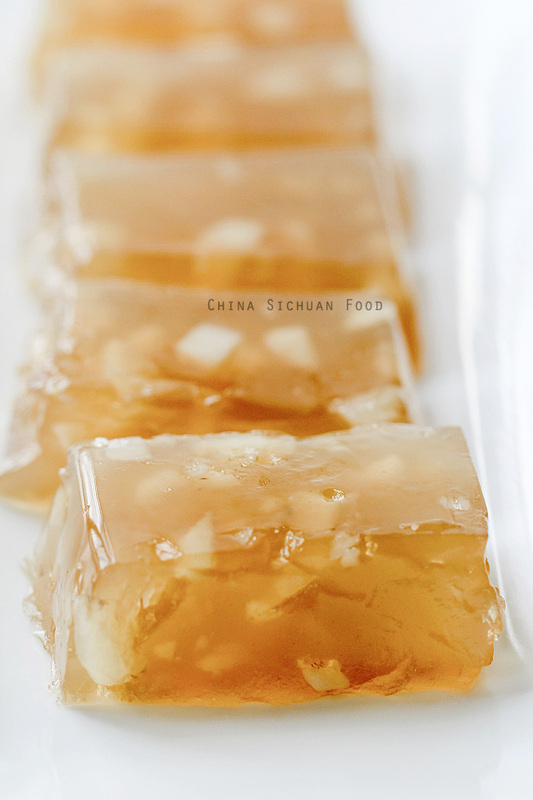 I used to have this water chestnut cake in dim sum halls. But honestly this is my first time to cook it at home. 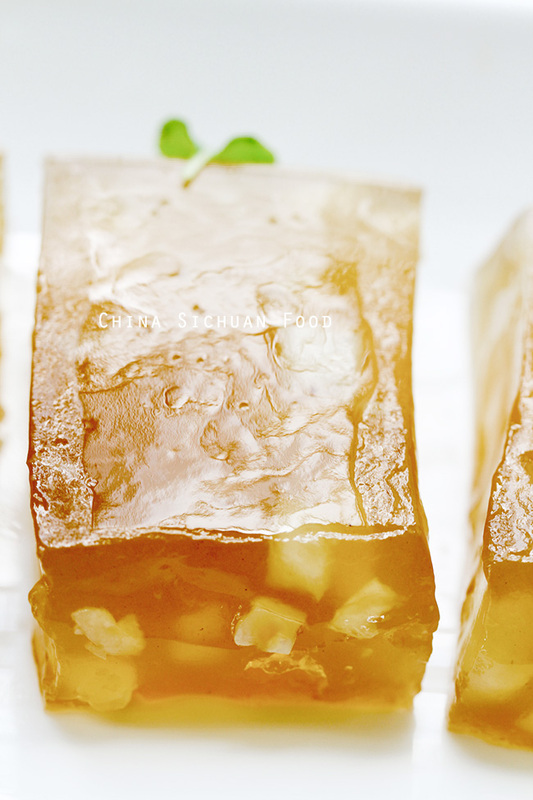 I am quite impressed by the simple process of make this yummy water chestnut cake. Hope you will try it Anne. And look forward to your good news. 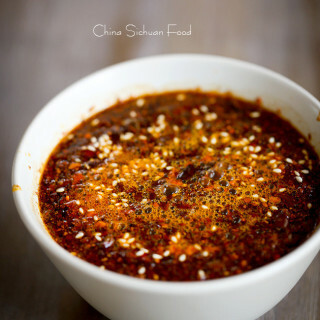 What can I substitute for water chestnut flour? That’s an interesting question! 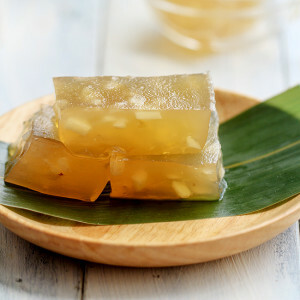 You can also make jelly with fresh water chestnut by using wheat starch or mung bean starch. 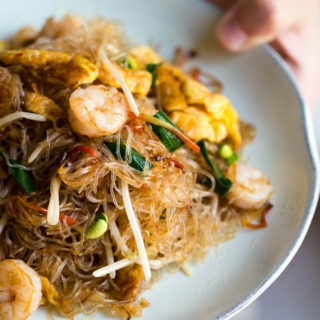 However if water chestnut flour is skipped, it should not be named as water chestnut flour. Is it possible to make the cake without adding any sugar? – Just light sweeteners like Stevia or Lo Han Guo? Sure, you can skip sugar and add other sweeteners. It is just a tradition to add sugar in this cake. I make chestnut cakes but the cakes is not very firm enough like the one in dim sum . Can you help me. May I know whether your chestnut cake is firmed and what’s the current texture. If it is just slightly soft, you can adjust the water slightly for an extra firm texture. Yes, mine is very soft like jelly. cannot cut have to scoop with a spoon. May I know what is the reason? is it a different brand of chestnut powder, too much water, or ???? This never happens to me for the special brand of chestnut powder I used. Can you read the instructions and see how much water recommended on the package. If it is too soft, the problem might be the water amount. HI was just wondering if this was really chewy and whether it would be counted as a preserve of a fruit? Also how long do pre-made shop bought ones last for? I used the Indian water chestnut flour because I could only found that one and it is not coming out transparent. Do you know why? How about the texture? 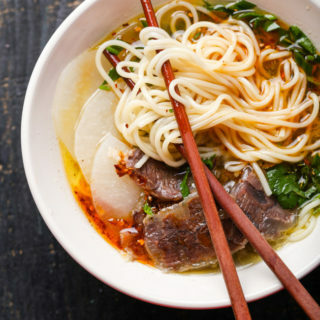 The water chestnut flour in China actually is kind of starch made from water chestnuts. 1)The 150ml water for soaking waterchestnut flour is part of the 700ml water? 2)You did not mentioned after soaking the waterchestnut flour for 10mins it should be stirred and strained. It is not like a smooth flour. What is left on the strainer are pieces of dried waterchestnut which needs to be throw away. 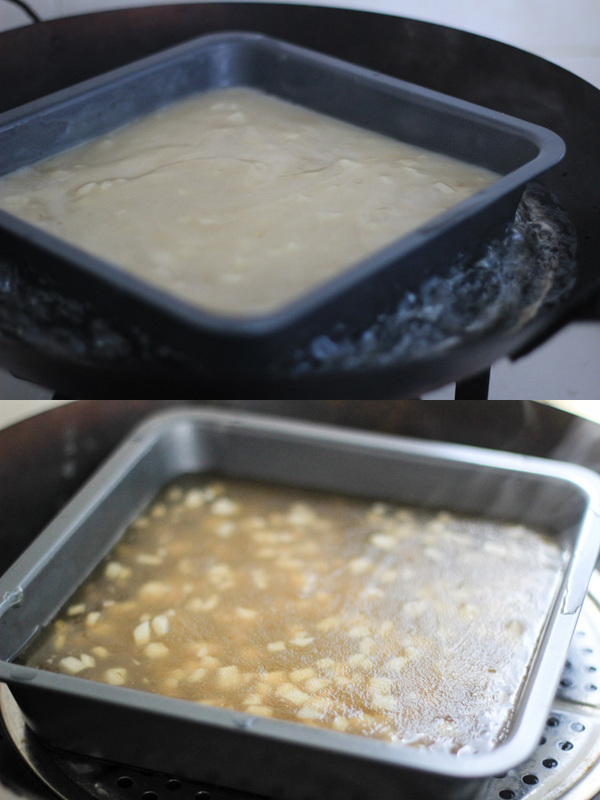 This is my 3rd time making waterchestnut cake for CNY. 1. Yes, we need 700ml water in total. 2. After soaking, the mixture should be quite smooth, so I did not strain the mixture. But that’s a great suggestion. I have updated the recipe. I just have 1 question the cake is made however I find it not as sweet as I like ( my personal taste) is there anyway that I can add more sugar at this point? No, the sugar can only be added in the second step. 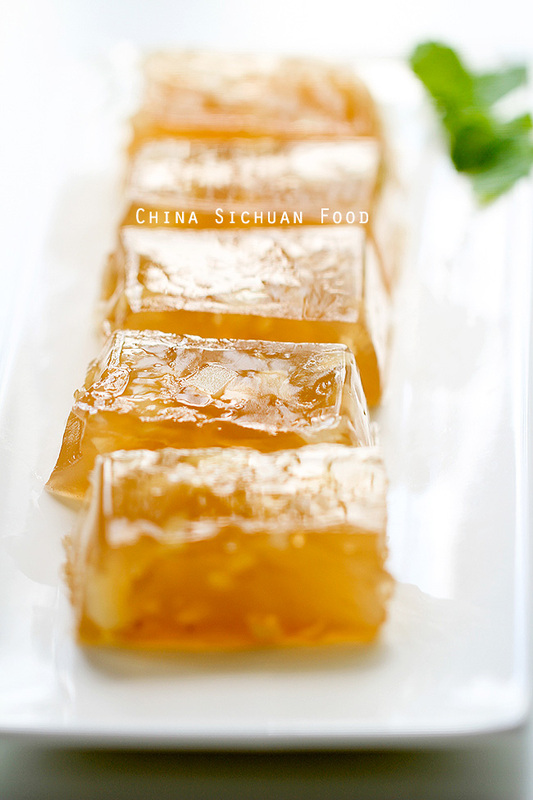 Is this similar to what is osmanthus cake? I’m reading chinese novels and they all mention osmanthus cakes and I can’t remember if I’ve ever had it in a resturant. Do you know how to make it? Thanks. Really enjoy your site. We have two types of osmanthus cake in China. 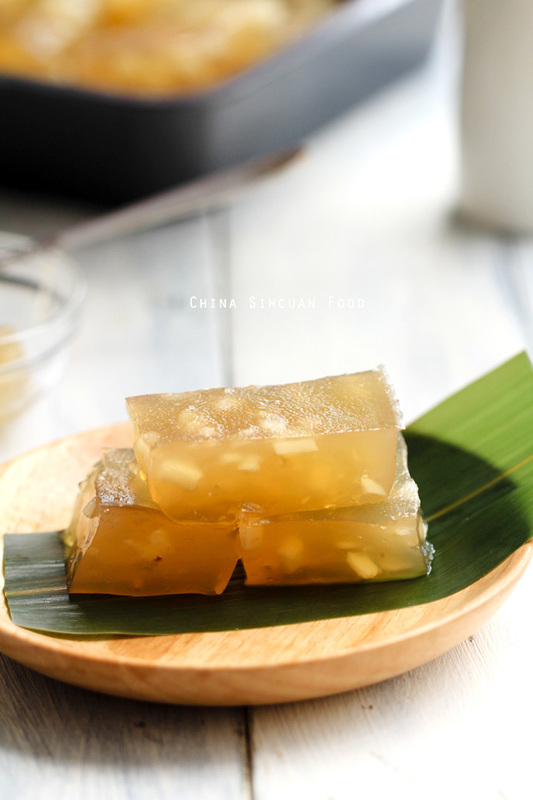 One is osmanthus jelly cake which is quite similar to this one. 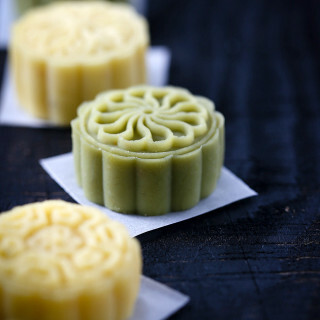 But the one mentioned in the novels should be the other one, steamed rice flour cake with osmanthus cake. 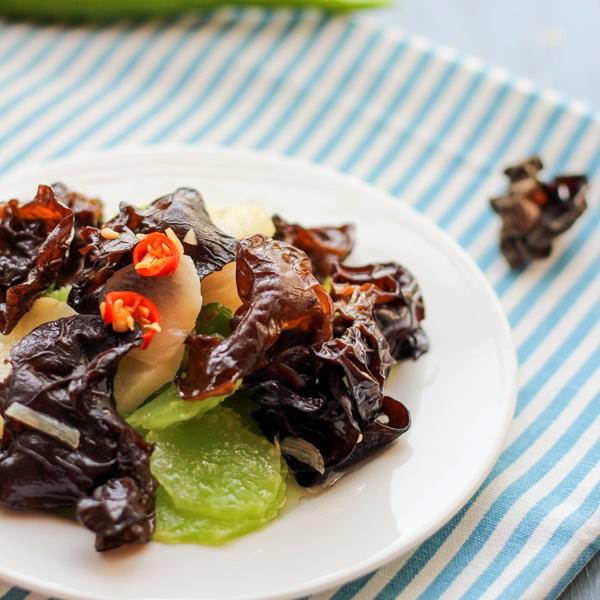 Hi all, I came across with this water chestnut recipe. 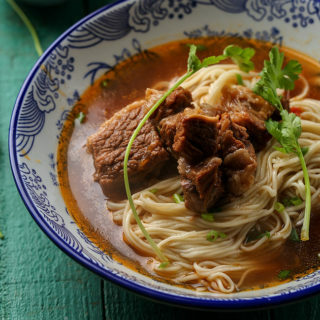 It is really very easy to follow the instructions and very delicious. Some of you mention that the cake was to soft or not coming out transparent. 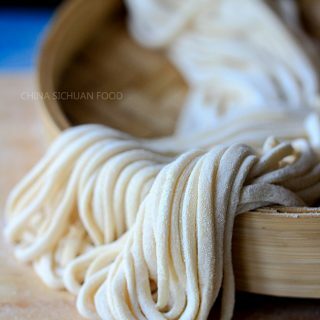 Look for PURE water chestnut flour. I use PAN TANG BRAND. Some other brands use a combination of flours, just read the ingredients in the box. Thanks so much Marga for this useful information. Yes, we need high quality pure water chestnut flour for this recipe. I can’t really get the water chestnut flour, but for some time now I’ve seen fresh water chestnuts at the store and I would love to try them. Do you know any other recipes using them?